MOSCOW, January 30. /TASS/. 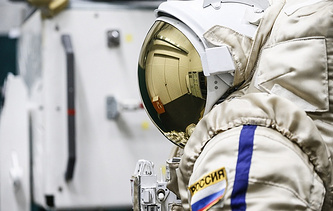 Space tourists who plan to carry out a suborbital flight won’t need long training, preparation will take just one day, Pavel Pushkin, head of the Russian company CosmoCourse, told TASS. CosmoCourse plans to engage in space tourism from 2025. "In principle, training for suborbital flights is not needed. This training is at the instruction level, it takes one day, most likely," Pushkin said. According to him, future space tourists will pass a medical examination. Those who have contradictions won’t be allowed to fly, he said adding that but the number of contradictions for a suborbital flight is small. "There are no special contraindications for suborbital flights. They are similar to contraindications against flying on airplanes (it is impossible to fly after the operation, because the stitches can spread out, it’s impossible to fly for someone with retinal detachment, good overload capability is required," Pushkin said. According to the program offered by CosmoCourse, the crew will fly to an altitude of 200 km in 15 minutes. Tourists will spend five minutes in zero gravity. During this time they will rise from the altitude of 60 kilometers to 200 kilometers and descend back, Pushkin said. The preparation won’t differ from the one foreign competitors offer for their future space tourists. This year, American company Blue Origin is going to launch first space tourists to an altitude of 100 kilometers. The journey will last 11 minutes, and the crew briefing will take two days. The similar scenario of a space flight was used in 1951 when Soviet dogs Dezik and Tsygan flew to space. Their flight lasted slightly more than 15 minutes. During this time, the rocket reached a height of 110 kilometers, after which the descent capsule flew back to Earth. The animals experienced an overload of almost 5 g. It should be noted that the passengers of the aircraft often experience overloads of 1.5 g during takeoff. The representative of CosmoCourse did not specify whet overload will be experienced by Russian or foreign space tourists.